Most Witches don’t believe in heaven or hell (except here on earth, as in a really good piece of chocolate or a really bad date). Those are primarily Christian concepts. What we do believe in is the ongoing cycle of birth, living, death, and rebirth. Like the cycle of the seasons that we call the Wheel of the Year, most of us view this cycle of life as a natural extension of our other spiritual beliefs. 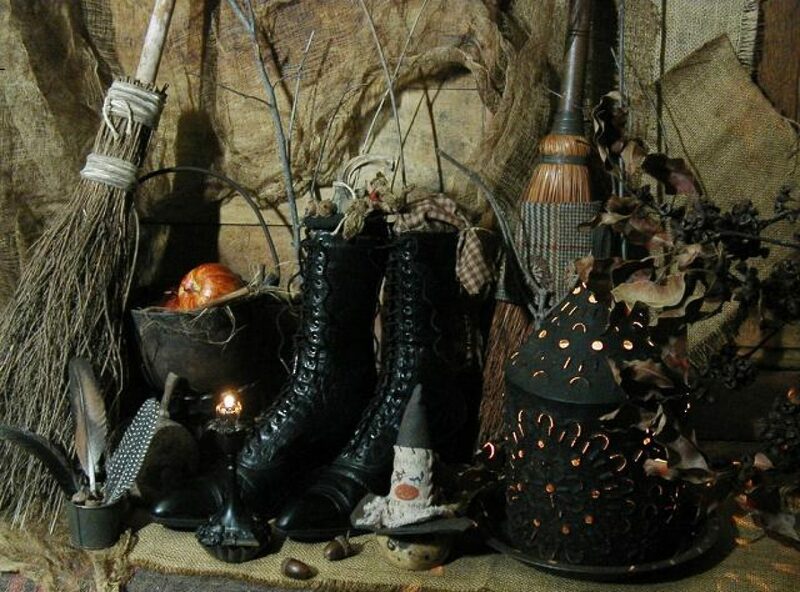 Since as Witches we believe in taking responsibility for our own actions, we also believe that we reap what we sow-that what you do in this life will determine what you end up dealing with in the next one. 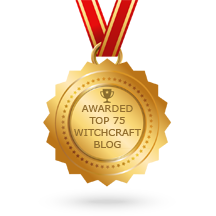 Most Witches also believe that one of our major goals as human beings is to better ourselves (sometimes referred to as the Great Work, to acknowledge that for many of us this is a pretty big job … ). 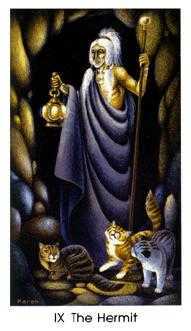 Reincarnation means that, thankfully, we have more than one lifetime in which we can learn all that we need to know. (Personally, I’m sure that I will hit perfection any time now … the next lifetime, or maybe the one after that. Or the one after the one after that… oh, never mind.) The point is, we take what we are given in this particular incarnation and do the best we can with it. Some Witches also believe in a place called the Summerlands, where we go to rest up in between lives and where we may meet up with our loved ones once again. The main thing is, we don’t view death as an end but merely as another transition, a natural step in an ongoing dance. While we mourn for those we will no longer have with us in this life, we also know that nothing in the universe is ever truly lost to us. We will see all those we have loved again sometime, either in the Summerlands or in another life. Some Witches actively try to find out information about their past lives by using a variety of approaches, including psychics, trance work (also known as “journeying”), and past-life regression. sion. And while many of the folks who offer such things are out-and-out frauds, there are some people out there who are the genuine article. Just use some common sense if you are going to use outside help on your search. If someone tells you that you were Cleopatra or King James the something-or-other in another life, then asks you for lots of money, chances are good that the person in question is full of it. 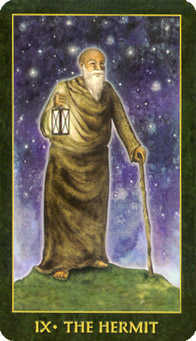 Learning about a past life may help you to uncover the reasons for issues that you are dealing with in this one-especially if you seem to be stuck making the same mistakes over and over. Hopefully, finding out more about who you were in a past life will help you work to improve the one you are living now. Whether you seek to learn about your past lives or choose to focus exclusively on the here and now, the knowledge that what you do matters – not just today and tomorrow, but in many tomorrows to come – should inspire you to make the most out of the lessons that life, and the gods, offer you. Cast this spell to gain the wisdom and knowledge of the Norns. You will need a pair of scissors, a ball of white yarn or string, and three white stones. When you are finished, thank the Norns, bid farewell to the elements, and pull up the circle. Put the stones under a favorite tree, in a thriving flower pot, or under a flowering bush to encourage the Norns to share their knowledge and wisdom with you. Posted on June 29, 2015 by ladyoftheabyssPosted in Articles, Daily Posts, Esbat SpellsTagged backyard, Destiny, Elements, fate, Knowledge, knowledge and wisdom, Magick Circle, Norns, private, safe, Scissors, undisturbed, white stones, white yarn, Wisdom. 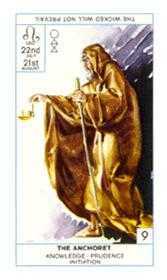 Posted on February 19, 2014 by ladyoftheabyssPosted in Articles, Daily Posts, TarotTagged card, Hermit, Knowledge, mysterious knowledge, Playing card, Seven of Swords, Shopping, Star (polygon), Tarot, The Hermit. The shaman plays the role of healer in shamanic societies; shamans gain knowledge and power by traversing the axis mundi and bringing back knowledge from the heavens. Even in western society, this ancient practice of healing is referenced by the use of the caduceus as the symbol of medicine. Oftentimes the shaman has, or acquires, one or more familiar helping entities in the spirit world; these are often spirits in animal form, spirits of healing plants, or (sometimes) those of departed shamans. In many shamanic societies, magic, magical force, and knowledge are all denoted by one word, such as the Quechua term yachay. While the causes of disease are considered to lie in the realm of the spiritual, being effected by malicious spirits or Witchcraft, spiritual methods as well as what we would consider physical methods are used to heal. The shaman often will enter the body of their patient to find the spirit making the patient sick, and heal by removing the infectious spirit by the patient. However, many shamans have expert knowledge of the plant life in their area, and an herbal regimine is often perscribed as treatment. In many places, the shamans claim to learn from the plants directly, only being able to determine the effects of a plant and use it to heal after meeting the spirit of the plant and getting permission. In South America, individual spirits are called through singing icaros; to call the spirit, the spirit must teach you their song. The use of totem items such as rocks is common; these items are believed to have special powers and an animating spirit. Such practices are presumably very ancient; in circa 368 bc, Plato wrote in the Phaedrus that the “first prophecies were the words of an oak”, and that everyone who lived at that time found it rewarding enough to “listen to an oak or a stone, so long as it was telling the truth”. The belief in witchcraft and sorcery, known as brujeria in South America, is prevalent in many shamanic societies. Some societies distinguish shamans who cure from sorcerers who harm; others believe that all shamans have the power to both cure and kill; that is, shamans are in some societies also thought of as being capable of harm. The shaman usually enjoys great power and prestige in the community, renowned for their powers and knowledge; but they may also be suspected of harming others and thus feared. In engaging in this work the shaman exposes himself to significant personal risk, from the spirit world, from any enemy shamans, as well as from the means employed to alter his state of consciousness. Certain of the plant materials used can kill, and the out-of-body journey itself can lead to non-returning and physical death; spells of protection are common, and the use of more dangerous plants is usually very highly ritualized. Posted on February 4, 2014 by ladyoftheabyssPosted in Animal Guides/Totem Animals, Daily PostsTagged Contemporary Shamanism, Knowledge, Phaedrus, Plato, Religion and Spirituality, Shamanism, shamans, South America, Spirit, Spirit World. Posted on January 30, 2014 by ladyoftheabyssPosted in Articles, Daily Posts, TarotTagged Fool, Gifts, Hermit, Knowledge, Macquarie University, mysterious knowledge, Shopping, Stationery, Tarot, The Hermit. Posted on December 16, 2013 by ladyoftheabyssPosted in Articles, Daily Posts, TarotTagged art, Games, Hermit, Knowledge, mysterious knowledge, Philosophy, Shopping, Tarot, The Hermit, Time and Timelessness. Working with a shaman can be a great puzzle piece in the process of becoming whole again. Since time immemorial, certain men and women have felt called to heal the sick, to safeguard knowledge, to guide the lost, and to commune with the spirit world. These unique individuals, known as shamans, were mystics and seers, repositories of wisdom, and keepers of herbal lore. During those periods when ignorance loomed large in the world, shamans across the globe bided their time, peacefully practicing their practical yet refined arts in the jungle, mountains, deserts, and tundra that protected them from those who misunderstood shamanism. Today, however, shamanism has reemerged, as modern men and women feel the same call to service that their ancestors felt long ago. Also, as more individuals explore the notion that healing necessarily involves the soul as well as the physical self, people are consulting shamans in their search for wellness, wisdom, and guidance. The word shaman literally means “he or she who knows.“ Shamanism is an art that has not changed in any quantifiable way for millennia and is not bound to any particular form of spirituality. It is grounded on the principle that the visible world is saturated with unseen forces that influence the lives of human beings. Shamans, in addition to acting as fonts of wisdom, are dedicated to diagnosing and curing human suffering—whether emotional, physical, or spiritual. To treat an illness, a shaman may communicate with the spirit world in order to connect more directly with the soul of their patient or with the force causing ill health. They often work closely with animal guides, plant and earth spirits, or your spirit guides, and may make use of use of herbal remedies to supplement other forms of treatment. Shamans, as intermediaries between the physical and spiritual realms, recognize that all objects are in manner alive and retain information that can be utilized to heal. Shamanism is powerful in part because its practitioners tailor healing to the individual needs of those who seek them out. 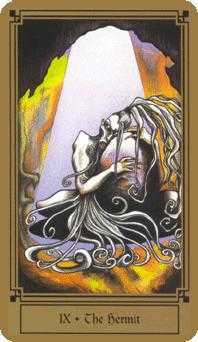 A shaman manipulates energy, giving you power where you have lost it and removing misplaced energy lurking within you. When you seek out a shaman, they will endeavor to know and understand you before treating you. In this way, they can provide you with therapies that act on your whole being, positively influencing your body as well as your soul. Posted on December 9, 2013 by ladyoftheabyssPosted in Articles, Daily PostsTagged Ayahuasca, Disease, Herbalism, Human, Knowledge, men and women, Religion and Spirituality, Shamanism, Spirit, Spirit World. Posted on November 6, 2013 by ladyoftheabyssPosted in Daily Posts, TarotTagged Divinatory esoteric and occult tarot, Games, Gifts, Hermit, Knowledge, mysterious knowledge, Shopping, Stationery, Tarot, The Hermit. Posted on October 13, 2013 by ladyoftheabyssPosted in Articles, Daily PostsTagged Book of Shadows, Contemporary Paganism, Education, formal training, group membership, Knowledge, Paganism, Spirituality, Teacher, Wicca. The Priestess is the Gatekeeper of the subconscious, the unknown. She travels in worlds which most of us only glimpse in our dreams. Her realm is that of unseen truths, untapped potentials, and hidden dangers. Purely Yin in nature, The Calling of The Priestess is to go beyond the obvious and visible to tap those powers which are veiled from normal vision. While she is passive by nature, she has the power to uncover unknown potential and is very aware of the infinite potential all humans harbor within them. She is also very patient. She can wait for events to blossom in their own time. Posted on September 18, 2013 by ladyoftheabyssPosted in Articles, Daily PostsTagged Arts, Dream, Games, high priestess, Knowledge, Psychology, Social Sciences, Subconscious.